The Virgin Islands National Park covers about 2/3rds of the island – leaving a fairly limited area for development. And that’s what makes it such a special, mostly unspoiled, tropical paradise. But that protection comes at a price; St John vacation rentals are more expensive than other Virgin Islands like St Thomas and St Croix. Travelers visiting during peak season and holidays should expect to pay premium prices at Caneel Bay Resort, The Westin St John, Grande Bay Resort, Gallows Point and at the many beautiful vacation rentals villas that dot the island. Higher demand means higher prices. 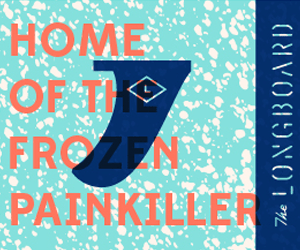 It’s the same across the planet …wherever tourism is seasonal. 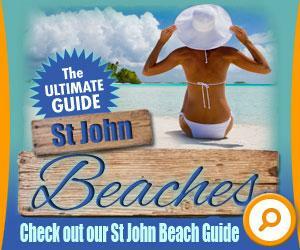 You don’t have to pay premium prices to enjoy a St John island vacation. There are ways to save – and save big! First, and foremost is lodging. Did you know that off season rates average 30% less during low season? That’s right, you can save thousands of dollars on many top rated villas when you book your stay between mid April to mid December ( everybody uses slightly different dates to qualify for low season / high season ). Many people use the savings to enjoy a villa that’s outside their budget during most of the year. So, for the same money you can enjoy bigger ocean views, more spectacular pools and amenities and choice locations! It may also be a chance to stay at one of the most popular villas – that often book a year or more in advance! 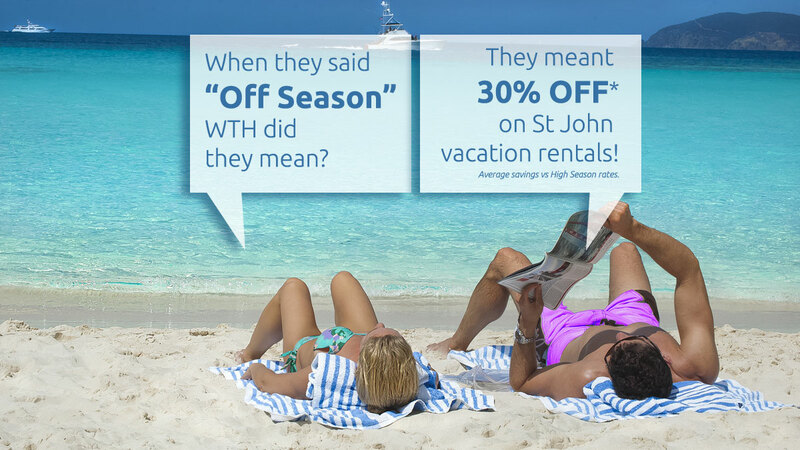 It’s a great way to experience all that St John has to offer – without breaking the bank! How do I take advantage of the low season savings? Most villa owners and managers have 2 sets of rates, high season and low season. On our Listings you’ll see rate details. Check the owner’s low seasons and high season dates to verify the start and stop of each rental season. Most owners and management companies follow roughly the same dates, mid April to mid December. Book a visit within those dates and you could potentially save thousands of dollars vs the high season rates on that very same vacation rental. 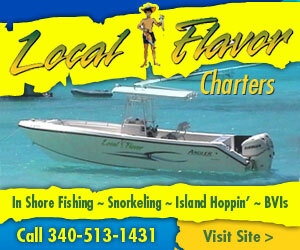 When booking you should inquire about any specials, discounts or promotions the owner or manager may be running. Of course you do! 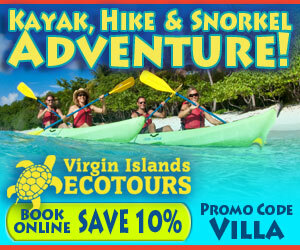 Who doesn’t want to save money and lower the cost of their Virgin Islands vacation?! Click our Discounts Page to find last-minute savings and incredible deals. Most of the discounts are limited to 2 months out. 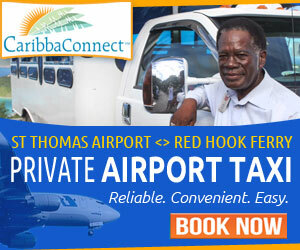 So if your travel dates are flexible it can be a great way to save even more money on a St John villa rental. 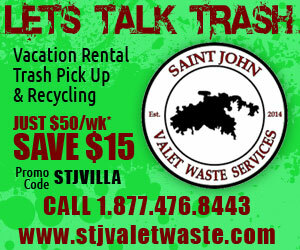 Check out our current St John villa discounts. If I go during “Off Season” is the weather bad? We get this question all the time. The answer is – no, you’ll likely enjoy the same great weather, beautiful beaches and snorkeling as you would if you visit in January! Average temperatures are higher in the summer months. 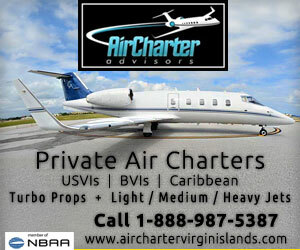 And we advise guests to avoid Virgin Islands hurricane season – which historically runs August and September. Another great thing about visiting during low season – there are fewer cruise ships in port in St Thomas. 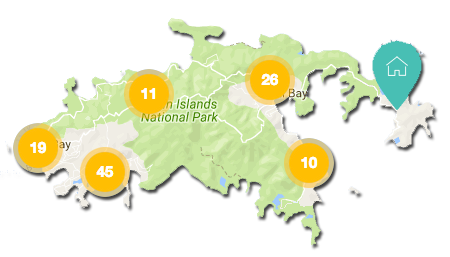 And that means fewer day visitors to the most popular St John beaches like Trunk Bay, Cinnamon Bay Beach, Hawksnest Beach and Honeymoon Beach. Other ways to save on your St John vacation? Just like your accommodations, many of the activities, water sports, happy hours and St John bars and restaurants run specials to attract the smaller number of visitors. One of our favorites is the Honeymoon Day Pass. Visitors get access to a kayak, SUP ( paddle board ), beach chair, snorkel gear, float and locker at Honeymoon Beach. They usually charge $49/pp ( even at this price it’s the best deal on St John ). But, book online for a Day Pass between May 15, 2017 and December 15, 2017, using promo code SAVE20 and you’ll save 20%! Book early because they do run out of passes! If you’re traveling between August 15, 2017 and November 15, 2017 you can save an amazing 50% by booking online using promo code SAVE50. Get more details on the Honeymoon Beach All Day Pass here.